In one of the last scenes of Werner Herzog‘s Where the Green Ants Dream (1984) an Aborigine stands up in a court room to speak up against some mineral excavations happening in a sacred tribal ground. The judge asks for a translation, but nobody can provide it. 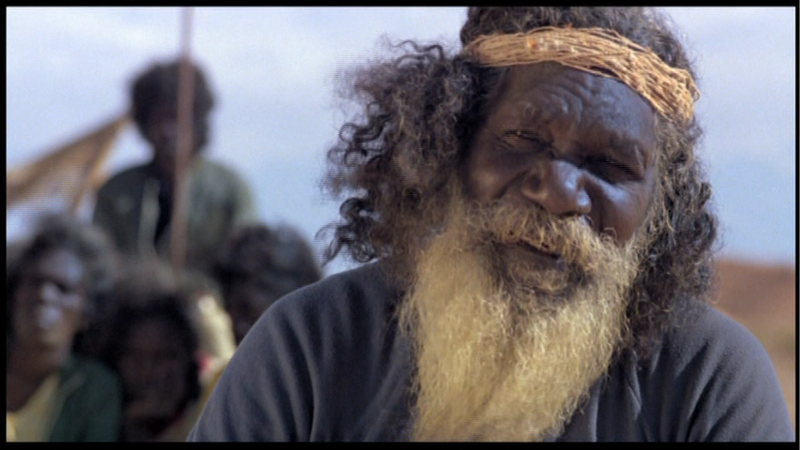 The man is called “the Mute”, being the last living member of his village and the only one in the world left speaking his native language. This saddening scenario may not just be a relevant piece of cinema, but a likely future for many of today’s less technology-savvy linguistic minorities. Although there are diverging opinions about it, there are from 4,000 to 7,000 languages currently spoken in the world, but on the internet English reigns as an unquestioned king (enlightened, yet patronizing), since the first bit was transmitted back in the ’60s. Nevertheless, despite it being the globalization’s lingua franca, more languages and some interesting linguistic phenomena have been emerging on the net in the past years, drawing the attention of linguists and media scholars. The Multilingual Internet, published by Oxford University Press and edited by Brenda Danet and Susan C. Herring, is a very interesting and significative attempt at making sense of such phenomena, in both their novelty and urgency. From the Romanization of Arabic or Mandarine characters to the compelling use of Greeklish and kaomoji in e-mail correspondence and virtual communities, many are the deterritorializations and reterritorializations of traditional languages on hybrid internet lingos, giving way to mixed interpretations. A relevant example is Greeklish, the use of Roman characters instead of Greek ones, sometimes mixed with numbers to better resemble the original. In contemporary Greece this form of computer-mediated communication – stygmatized by the Orthodox clergy and by the conservatives – has become a controversial issue, carrying its share of political frustration and heralding the compulsory uniformity of globalization. On the other hand, it also shows a need for the Greek to express themselves in their own language, while using an English-centered medium like the internet. Some of the most interesting chapters of the book deal with young Arab internet users – in particular from Egypt and the Emirates – and their use of ASCII-ized Arabic, an hybrid form of Romanization also including numerical characters reproducing similar Arab letters. Apparently this form of typing has favored vernacular and local dialects, normally limited to oral use, extending informal and country-specific talk to the written dimension of online chat. This might keep young Arab speakers safe from the linguistic uniformity occurring elsewhere in the cyberspace. The Multilingual Internet has an essentially empirical linguistic approach (which is what makes the book at once solid and hard on the linguistically-unprepared reader), documenting certain case studies and only rarely focusing on critical attempts to solve emerging social issues. Among the ecceptions is a chapter dedicated to a study on an automated translation software programmed for keeping web-savvy Catalans from using too much Spanish in their e-mails. The authors of the essay point out several flaws in today’s internet translation softwares, drawing our attention on a bigger and crucial problem: interface. If computer-mediated communication has forced so many people into adapting to certain typing standards, switching codes and learning English, it is mostly due to the geographical genesis of those interfaces. Control of technology, protocols and platform design are all deeply connected to the hegemonic role North America and Europe play in globalization. But if the internet has also proven a challenging and creative tool for new generations all over the world to explore and enjoy their own languages on multiple levels, to prevent the common standards from taking over the less represented linguistic minorities it is necessary to act on those interfaces, to change the rules of the game instead of taking action on the players. Just like in the Herzog movie institutional law and estate regulations were able to sell the Mute’s holy ground without asking him, so a pre-existing technological hegemony is undermining the possibility of a linguistically heterogeneous internet by playing on a different level, flying way higher than the users’ heads. Changes need to be made at the top, in the very interface, even though it’s quite unlikely to see any. As for now, like the Green Ants do at the end of the Herzog movie, let us all just adapt and pray in the supermarket. Share a Dream: A new way to connect people ?